The simple jersey midi dress is one of summer's must haves. It is an ideal to piece to wear when it is super hot outside. I picked up this piece from Zara not too long ago and I nearly forgot it was hanging in the closet. Sometimes simplicity is best and the jersey midi dress is the way to go, yes because it is fitted you have to be mindful of what you're eating when out so your stomach is not protruding but it is an effortless piece to have in the wardrobe. It is one of those piece that can worn just as it is. 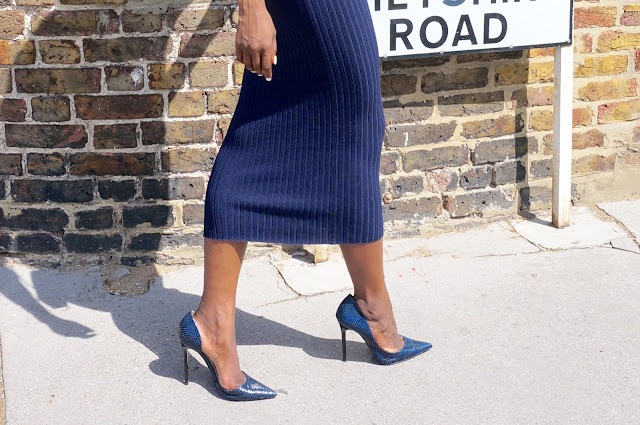 I paired my jersey midi dress with both heels and ghillie flats to give to show you how it can be dressed up or down to suit whatever the occasion.